Lately I've been struggling with some things. I won't go into detail, but I wasn't focusing on the big picture. 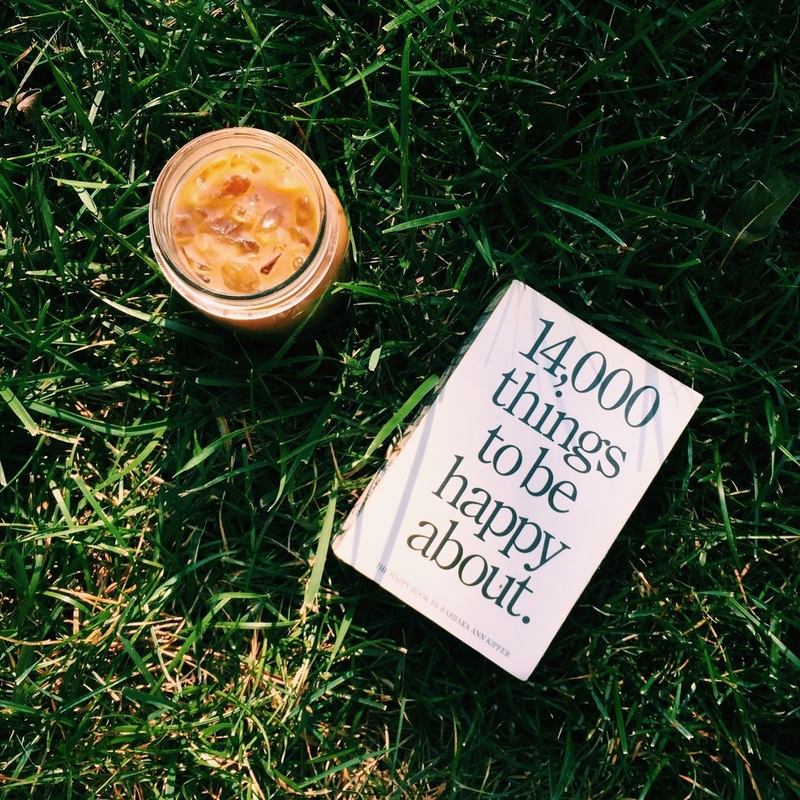 By accident, I was scrolling through Instagram and found this book, '14,000 things to be happy about.' Without hesitation, I ordered this gem off Amazon for a wild $4, and it's hands down the best investment I've made in a long time. I forget how blessed I am in my moments of weakness; and how little it takes to be happy. Some days it's just a smile, or a lick from your pup, maybe just a phone call from a friend. But that ONE tiny thing is enough. That's why this book is so special to me, it's 14,000 tiny things that remind me just how important and easy it is to be happy. Don't forget in all the hustle and bustle to rejoice in the little things too. 💘 Happy Wednesday friends!